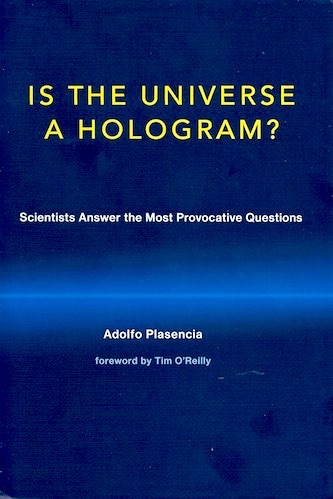 This is a very strange book - it reads like a cross between a collection of totally unrelated science essays and Waiting for Godot. Each essay is in the form of an interview with a scientist (the term is stretched a bit to include architects and human resources experts) and the Beckett-like nature is occasionally emphasised by interviewees who don't have English as a first language who scatter the unedited interviews (complete with painfully polite introductions) with interest terms such as 'teletransportation.' 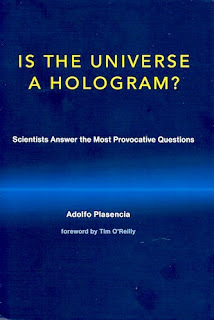 Even the book's subtitle 'Scientists answer the most provocative questions' has a touch of the Google Translate about it. In his introduction, interviewer Adolfo Plasencia explains the use of dialogue in teaching. He tells us that when Lewis Carroll has Alice think 'what is the use of a book without pictures or conversations?' Carroll was criticising the teaching of his day which 'ignored the example of great teachers such as Plato and Rousseau, who considered dialogue to be essential for sound education.' What this misses is that teaching dialogues were carefully written, not a verbatim transcript of a conversation - and that there's a very good reason why we don't find them in popular science books. Because even the best science-teaching-by-dialogue, such as Galileo's three-way version, feel stilted and dull by modern standards. What we understand now (and what Alice had in mind) is the importance of narrative in good science writing. Alice's conversations were those in a well-written fictional narrative, not the real life, stultifying version. It's not all bad. Each time I came close to giving up, I'd hit on a little nugget of really interesting content, whether it be on Casimir forces or graphene. But I suspect you could edit the good bits out into a single article. It wasn't helped by the quite long interventions for the interviewer, who seemed determined to get across his political message that Europe is better than America, and that scientific cooperation is leading the way to the European unification, which must surely follow from the wonderful EU. This book must genuinely have seemed a good idea as a proposal, but the heavy-going dialogue combined with the weak format of a collection of unrelated essays from different sources makes it a noble failure.